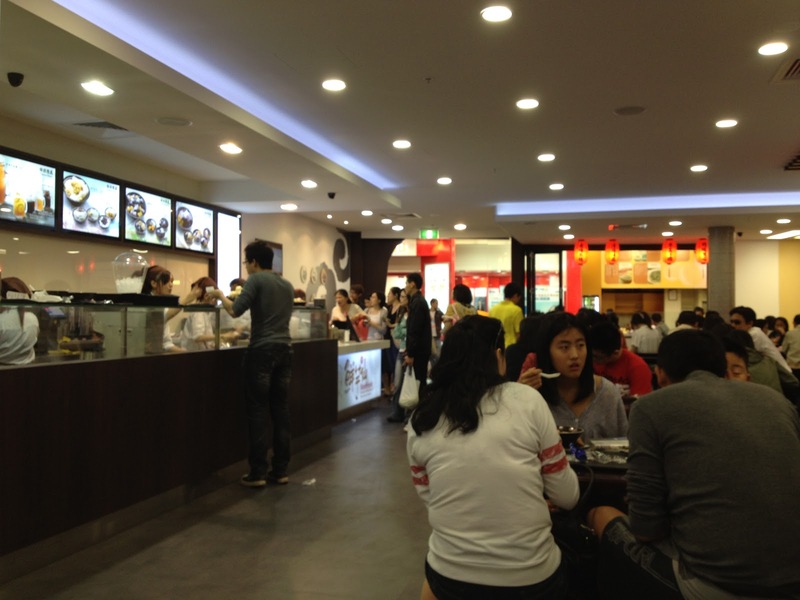 We heard of a new dessert shop opening in Sunnybank Plaza and decided to join in the craze. Yes, the queue was crazy and it almost became a traffic hazard in the middle of the shopping centre. 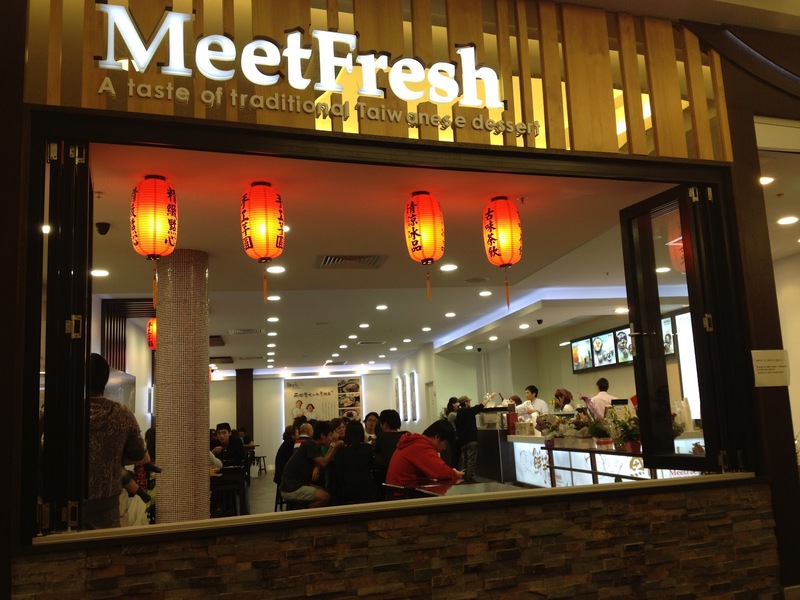 Meet Fresh is a Taiwanese Dessert franchise that has a few stores in Sydney. This is the first store in Queensland, which explained all the hype about it. After waiting in the line for about 20 minutes, it was finally our turn to order. We were enticed by the promotional poster on the entrance and decided to share the ‘Supreme Mango Crushed Ice’ ($8). The concept was simple: order, pay, get a buzzer, find a seat, buzzer go off, collect your dessert. 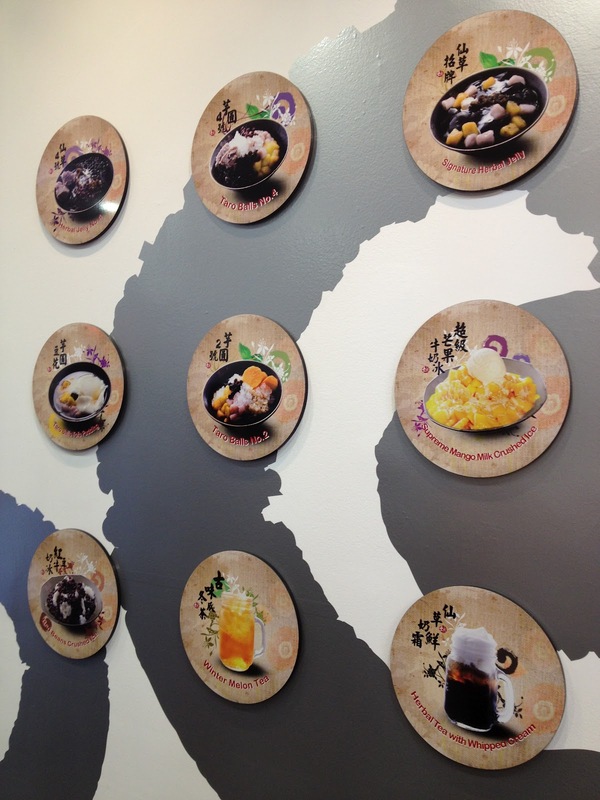 I will give this place another chance and return when the queue disappears to try their Taro Balls. 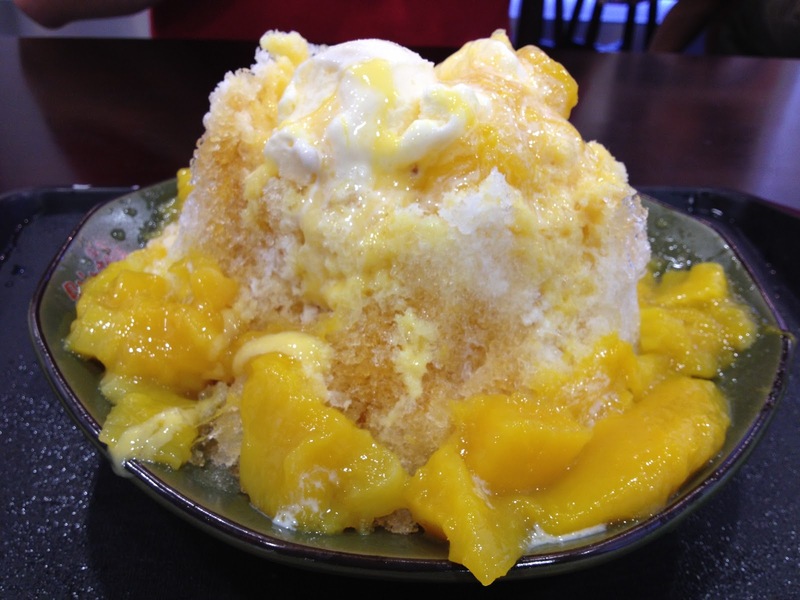 we tried it while in Sdyney, not the mango, but some other stuffs – the serving is very big, but just a lot of ice :-(other than that, the stuffs pretty average but might give it another go if we are in Sunnybank.